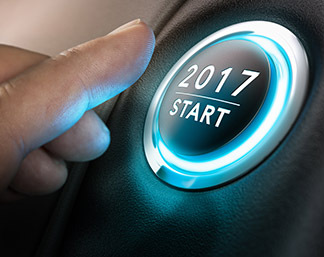 12 Marketing Things You NEED to Do in 2017 | Real Web Marketing Inc.
As shocking as it is, 2017 is almost upon us. Many (including me) think that the economy will be better in 2017. So what do you need to do with marketing your business in 2017, to get the most benefit from improved conditions? Here is a list of 12 suggestions. Get a new website. As I detailed in a recent article, if your website is old and worn out looking, you really need to get a new one. Particularly if your site was designed more than 4-5 years ago, it will look hopelessly out of date. Is this the impression you want to give to your prospects? A great looking website is a necessity, not a luxury today. And it has to be mobile friendly. Do SEO (search engine optimization) on your site. This is the best way, long term, to build up traffic to your website. This includes keyword research, putting up unique titles and descriptions on every page of the site, and then doing a monthly link building program. You are losing so much value from having a website if you don’t do SEO for it. Get on Yelp (for local businesses). If you have a local business, you NEED to get a free listing on Yelp, and if you already have a listing, you should consider doing paid advertising on Yelp. I have put a number of clients on paid advertising on Yelp and they have all done well with it. Get a presence on social media. You should minimally have a Facebook fan page for your business, a Twitter account, and a LinkedIn account. And link to these accounts from your website. Then work those accounts by getting fans, followers and connections. Then post things about your business or industry REGULARLY. Facebook advertising is effective for certain types of businesses (not everyone). Get out a newsletter. If you’re not already doing this, you need to start developing an email list of clients and prospects, then get out a regular email newsletter to those people. This is a great way to keep your business in front of people, remind them that you are there, and build relationships with clients and prospects. Start blogging. If you’re creating content for a newsletter, you should also post that content to a blog or blogs. This is great for SEO purposes. Respond to anything negative about your company online. This is called reputation management. Reviews have become a really important thing online and it is really important to respond to negative ones. Contact our company to work out the appropriate strategy to any problems you may be encountering. Pay attention to online security. Hacking of websites has become more of a widespread problem in the last year. You need to do regular backups of your website, and take measures to thwart hackers. Because they are trying to get into your website. I have set up software on client websites that notifies me when someone tries unsuccessfully to hack into one of the websites, and I get hundreds of these notifications each day. Do pay per click advertising. This is particularly relevant if you sell a high ticket product or service, and it still works very well. Get into doing remarketing. This is where you have code on your website that puts a cookie on the computer of every person who visits your website, and then they will begin to see banner ads for your business on many other websites. This is a great way to hit people again who have already visited your website but didn’t yet respond to you. And you can do it with a modest budget. Get on every channel you can. It’s important to promote your business on as many channels as possible, not just one or two. Be consistent. It’s most vital to be putting out promotional messages on a regular basis, not just as a one shot deal or every once in a while. You should develop a promotional strategy and a schedule and make sure you keep sending things out on that schedule. I would say this is even more important than what media you use or even what you say (although what you say is important too). I have decided that 2017 is going to be a great year, the best year ever for my business and for yours. So let’s get going on effective marketing and making it the best year ever.